On Friday, April 11, eight North Carolina breweries took home medals at the event, which took place in Denver, Colo. Half of those medals were gold: White Street Brewing in Wake Forest took gold for their Kölsch-style ale, Outer Banks Brewing Station in Kill Devil Hills did the same for their MeyerBock, Asheville Brewing Company medaled with their Ninja Porter, and NoDa Brewing Company garnered gold with their popular Hop, Drop ‘n Roll. That last one was especially impressive, since the American IPA category was the most crowded category at the World Beer Cup with 224 entries. Olde Hickory’s Irish Walker won silver in the Old Ale or Strong Ale group, and Lynnwood Brewing Concern’s Once You Go did the same in the American-style Black Ale category. And White Street Brewing wasn’t the only NC brewery to win a medal in the German-style Kölsch category, as Mother Earth Brewing won a bronze with its Endless River. Also winning a Bronze was Wicked Weed Brewing, whose Tyrant Double Red was third-best in the Imperial Red Ale category. 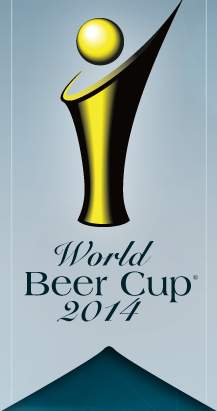 This entry was tagged north carolina breweries, world beer cup 2014, world beer cup 2014 north carolina. Bookmark the permalink.